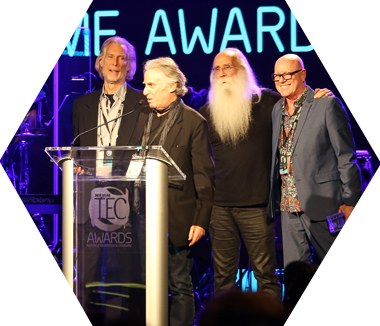 The NAMM TEC Awards Hall of Fame was created in 1988 to honor pioneers of audio technology, as well as the music industry’s most accomplished producers and audio technicians. 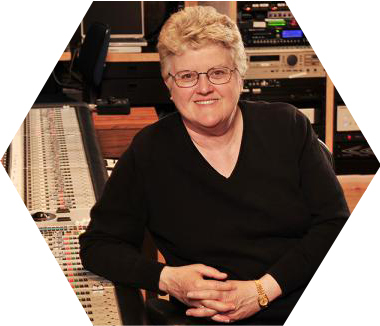 After beginning her career playing in rock bands and running her own live sound company, Leslie Ann Jones went on to hold staff positions at ABC Recording Studios (Los Angeles), the Automatt Recording Studios (San Francisco), Capitol Studios (Hollywood), and now at Skywalker Sound, where she continues her career recording and mixing music for records, films, video games, and television, as well as producing records— primarily in the classical and jazz genres. From her early years assisting recording greats such as the legendary engineers Barney Perkins, Fred Catero and Roy Halee, Jones quickly became a preeminent engineer, helming sessions for artists including Herbie Hancock, John Mayall, Santana, ConFunkShun, Frankie Beverly and Maze, the Whispers and Bobby McFerrin. Especially trusted for her golden ears and attention to detail, she quickly became high in demand by such exacting artists such as BT, the Kronos Quartet, Rosemary Clooney, Michael Feinstein, and others. 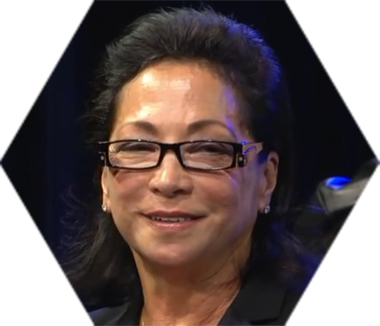 In 2000, she followed Phil Ramone’s tenure to become the first woman ever to chair the Recording Academy (GRAMMY) Board of Trustees, and she is also the recipient of four Grammy Awards, including two for Best Engineered Album, Classical. Jack Douglas got his start when fellow Hall of Fame alumni Chris Stone and Gary Kellgren opened doors to the famed Record Plant in NYC in 1969. Douglas started as a janitor, but quickly rose in the ranks. A chance encounter with a group member led Douglas to help engineer The Who's early (cancelled) sessions for "Who's Next" at The Record Plant. After this landmark recording he was given a chance to engineer John Lennon's classic "Imagine" album. Douglas and Lennon formed a close bond and worked together for the remainder of Lennon's life. Douglas has worked with other legendary artists and bands such as Miles Davis, The James Gang, Alice Cooper, Cheap Trick, and Mountain. 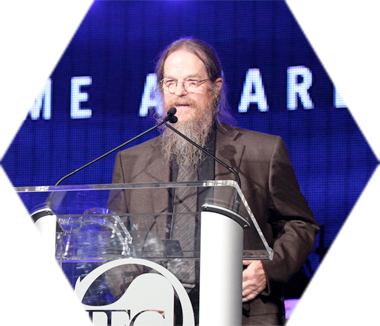 The industry collectively looks forward to giving him a warm TEC welcome into the elite Hall of Fame family. Jeffrey "Skunk" Baxter has had a long and successful career in the music and entertainment field, earning numerous Gold and Platinum albums and two Grammys in the process. He was a founding member of the group Steely Dan, a member of the Doobie Brothers and produced records for such artists as Carl Wilson, Nazareth, The Stray Cats and Billy Vera (debut album and #1 Single “At This Moment”). He has toured with such bands as The Stray Cats, Elton John, Julian Lennon and Linda Ronstadt. 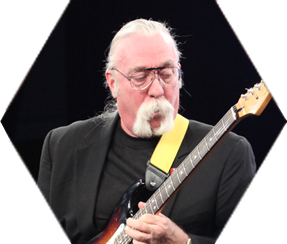 He has been a studio musician for over 40 years, recording with such artists as Donna Summer, Dolly Parton, Ringo Starr, Barbara Streisand, Carl Wilson, Carly Simon, Stanley Clark, Bryan Adams, Denice Williams, Richie Havens, Nils Lofgrin, Sesame Street, Cher, Joni Mitchell, John Cougar Mellencamp, Freddy Hubbard, Leo Sayer, Burton Cummings, Roy Orbison, The Ventures, Judy Collins, Hoyt Axton, Beach Boys, Little Feat and Rod Stewart, and has composed music for movies and television including co-authoring the original theme for “Beverly Hills 90210,” music for “King of the Hill” and scoring for movies like “Bull Durham” and “Roxanne.” He has been a design engineer/consultant for Akai, Audio-Technica, Allen & Heath, Fender and Roland for over 35 years. He is currently working on his first solo project, partnering with his long-time friend and associate CJ Vanston and is still actively involved as a guitarist, composer, producer and engineer. Chris Stone is an American music industry businessman and writer, and the co-founder with Gary Kellgren of the Record Plant recording studios, which transformed the music studio into a new, creative and collaborative environment and, at the same time, introduced the newest multitrack, acoustical and mixing technologies. Stone founded Filmsonix in 1987, sold the Record Plant in 1989, and is the founder and CEO of World Studio Group, a worldwide music studio consulting company. 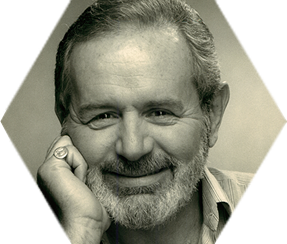 He co-founded the Society of Professional Audio Recording Services (SPARS), and served as president and chairman of the board. 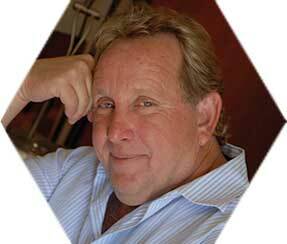 He also co-founded the Music Producers Guild of the Americas (MPGA), serving as executive director.  The MPGA developed into the Producers & Engineers Wing of the National Academy of Recording Arts and Sciences (NARAS). He lectured online for the Berklee College of Music as well as in person for the USC Thornton School of Music where he was an associate professor. He published a book, Audio Recording for Profit: The Sound of Money. 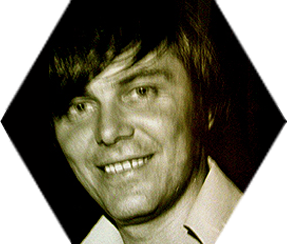 Gary Kellgren (1939–1977) was an American audio engineer and co-founder with Chris Stone of the Record Plant recording studios, which transformed the studio into a new, creative and collaborative environment and, at the same time, introduced the newest multitrack, acoustical and mixing technologies. Kellgren was an early user of "phasing," a studio technique which simulates the sound of a jet engine. He is also credited with pioneering the "flanger," the U.S. version of the Beatles' ATD (automatic tape doubling), also known as ADT (automatic double tracking), for that memorable psychedelic sound. He conceived of, and was responsible for, all the "Live at the Record Plant" recording sessions. It was also Kellgren's concept to bring color, artistic design, hotel-like comforts and services to the world of recording studios, along with state-of-the-art technology and acoustical design. Ed Cherney is a GRAMMY®-winning producer/engineer whose credits include working with such music legends as Eric Clapton, Bob Dylan, Bonnie Raitt, Wynonna, Buddy Guy, Etta James, John Mayer, Lyle Lovett, Sting, Elton John and the Rolling Stones, among many others. His movie soundtracks include Fast Times at Ridgemont High, Coming to America, The Bourne Legacy, Disney’s Planes, Green Hornet, The Hobbit, Collateral and The Butler. Highly respected by his peers, Ed has amassed six GRAMMY® nominations (in one year Ed was nominated for three out of the five albums in the Best Engineered category) and two wins, in addition to seven TEC Award nominations and five wins, and three EMMY nominations. 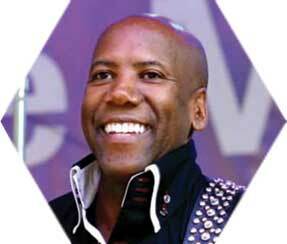 Nathan East is one of the most in-demand bassists of all time and also one of the most recorded, with more than 2,000 recordings under his belt. As the regular touring bassist for Eric Clapton, Phil Collins, Toto and Fourplay with Bob James, East has played with just about everyone in the music industry. He played bass on Eric Clapton’s multi-GRAMMY® award-winning Unplugged album, as well as the song “Change the World,” which won a GRAMMY® in 1997. East also played bass on Daft Punk’s GRAMMY®-winning album Random Access Memories and performed with the group at the 56th Annual GRAMMY® Awards. East released his first ever debut self-titled solo album in March 2014, received a GRAMMY® nomination for Best Contemporary Instrumental Album in December 2014. From the 1950s through the 1980s, Hal performed on over 35,000 documented recording sessions, adding drums and percussion to more than 350 top ten songs, and over 40 #1 Billboard chart hits. No other session player comes close to the wide variety of genres where Hal provided the heart beat, and often the hook—from the Ronettes to the Beach Boys, from Elvis to the Tijuana Brass. 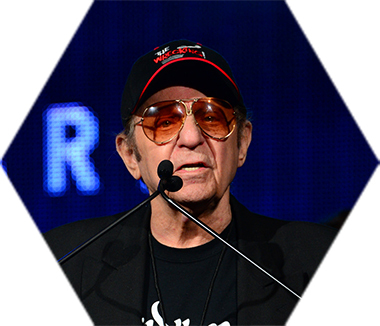 Hal is a member of the Rock & Roll Hall of Fame, the Musicians Hall of Fame and Museum, the Percussive Arts Society Hall of Fame, and is widely regarded as the most prolific drummer in recorded music history. John Meyer is president and CEO of Meyer Sound Laboratories, Inc. Meyer had already handled worked on the Steve Miller Band’s sound at the Monterey Pop Festival in 1967 when he attracted public attention with his invention of the intriguing Glyph loudspeaker. In the mid-70's, Meyer was invited to help establish an acoustics laboratory at the Institute for Advanced Musical Studies in Switzerland, where he began his pioneering work on low-distortion horns and integrated, large-scale loudspeaker systems. Since founding Meyer Sound in Berkeley, Calif., in 1979, Meyer has focused his efforts on research and development projects covering a broad spectrum of audio technologies surrounding the design, manufacture and use of loudspeakers. Rose Mann Cherney didn't set out to be in the studio business, but more than 30 years after she began, she is still at it as a principal with the renowned Record Plant Studios in Los Angeles. It is the title Studio Manager, however, that will forever be linked to the name Rose Mann Cherney, a job she helped define by bringing a level of concierge service and personal attention to detail that remains unmatched in the industry. As the first female president of a major recording studio, as well as the first woman to be inducted to the TEC Awards Hall of Fame, Rose Mann Cherney has also illuminated the path for a generation of women working in the studio business. Learn more about these and other past Hall of Fame inductees by visiting the TEC Legacy site at http://legacy.tecawards.org/tec/hall_of_fame29.html.